Can’t make this one? Sign up to our mailing list for info on upcoming retreats HERE. La Conca is a beautiful holiday accommodation on large working organic farm! It covers approximately 300 hectares (741 acres) of woods and pastures with incredible views over the Umbrian and Tuscan hills. Historical records show that these traditional Tuscan farm houses were built around1500AD; but have been restored beautifully for modern day use. 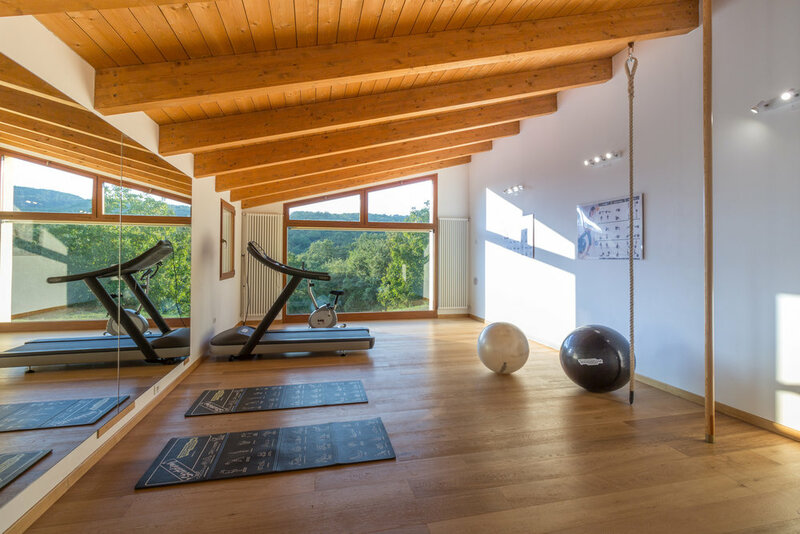 Equipped with hiking trails, a spa, a gym, a pool, outdoor dining, and a gorgeous kitchen, this villa is sure to bring a sense of utter peace and tranquillity to our Whole Experience. Visit the venue, here. Our incredible local chef will be creating mouth-watering Italian vegetarian dishes for us. All ingredients will be locally sourced and most dishes will be fresh and made from scratch! Together, with our chef, we will learn how to make pasta from scratch and learn how to incorporate healthy yet delicious Italian cuisine into our every day lives. Best of all, you will still enjoy Italian classics like risotto, pizza, pasta, tiramisu, and caprese salad (just to name a few) - while remaining healthy! In general, your week with us will include a Whole Experience. Our hope for you is to relax, learn, build relationships, and truly experience Italy for all it has to offer. Spare time will be allocated to go out and explore on your own coupled will a program that will have enough activities to keep your experience full. We look forward to hosting you in one of our favourite countries in the world! Once you register below and pay your down payment, you will be prompted to fill out a questionnaire that helps us to learn a little bit more about you. Once the above is completed, your hosts will give you a call to Welcome you to The Whole Tribe, and discuss any upfront questions you may have! The remaining balance will be required in 2 equal instalments of $1199.50. The due dates for upcoming instalments are May 15th, 2019, and June 15th, 2019. We will invite you into a closed Facebook Group so you can get to know your fellow Tribe members! If you are experiencing difficulties with the registration button, click here to register directly on our booking site.